Looking for the best European auto repair Ballard has to offer? Eurocar service has been providing Ballard with outstanding auto repair services for European cars for over 20 years. All of our technicians are ASE certified and take annual courses to stay current with the latest technology. 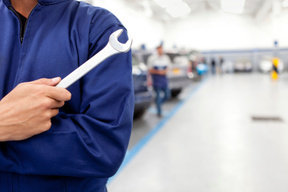 When it comes to car maintenance and customer satisfaction, our motto is dependability, accuracy, and integrity. We’ll service any Audi, BMW, Land Rover, Mercedes, Volkswagen, Mini, Saab, Volvo, and other European brands. European cars are known for their top notch engineering and comfort. But that car needs to be well maintained throughout its life to live up that reputation. Not only will your car stay reliable but you’ll also save money at the gas pump while helping the environment. Cars that do not adhere to a regular maintenance schedule are at risk of a decrease in fuel efficiency of up to 10%. On top of that there are many safety hazards that occur as a result of neglecting car maintenance. Serving the Ballard area, we can perform all scheduled factory recommended maintenance while preserving your warranty. We also perform tune ups, oil changes, brake repair, transmission repair, belt changes, and any other repairs or inspections necessary to keep your European car on the road. For European Auto Repair Ballard can count on, look no further than Eurocar Service. Schedule an appointment with us today or just give us a call at (800) 282-3133. Click here for coupons that can save you a bundle on your next auto repair with us.